The only reason I put a ? in this headline is because I don’t feel as though I’ve tried enough cleansers in my life to make such a bold claim. But this one’s so bloomin’ good that I’m willing to give up the search right now. 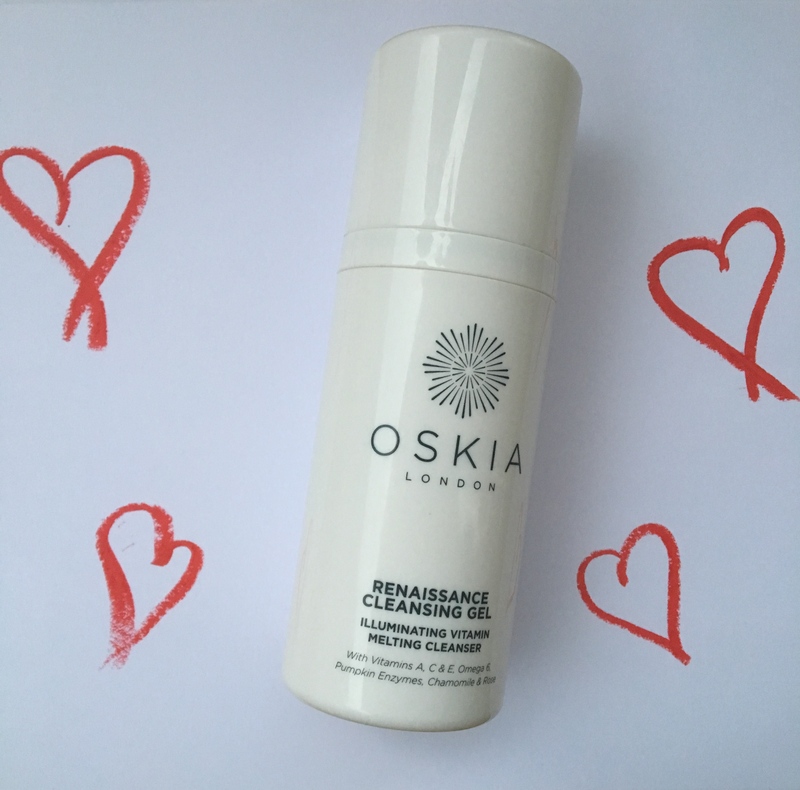 I first tried the Oskia Renaissance Cleansing Gel about 2 years ago and I’ve been too scared to try anything else since, just in case it isn’t as good. I get so worried that this will run out without me having a back up to hand that I even buy them in 2’s. Sad, I know. I always remove my make up first with Bioderma, but on the odd occasion I haven’t, a.k.a. it’s gone midnight and I just want to crawl in to bed, it has been ace at removing every last scrap and it doesn’t irritate my eyes in the process. Applying it is a dream. I dispense 2 pumps of this in to my hands and work all over the face and neck. It comes out as a rosy coloured gel and once applied to the skin, turns in to a luxurious oil literally smelling of roses, which I usually take about 5 minutes to massage and breathe in. Yes, I like to imagine I’m at a spa every morning and evening… if only! Now and again, I actually leave this on the skin for a bit to let its pumpkin enzymes (you know how I love these) work their magic whilst I potter about doing other things – I like to think of it as my mini-spa treatment if don’t get a chance to do some sort of mask that week. Suitable for all skin types, the Renaissance Cleansing Gel contains so many amazing ingredients (check it out on their website for a detailed list) which do wonders for the skin in addition to simply cleansing it – improve the appearance of sun damage, protect the skin against free radical & environmental damage, improve elasticity and firmness… the list goes on. I then get a wet flannel/muslin cloth, wring it out and wipe it all off. And ta-da! my skin feels clean and fresh no oily residue here and ready for whatever other skincare goodies I decide to pile on after. It’s not the cheapest cleanser out there – you can definitely get some other great cleansers for a fraction of the price – but I’m happy to spend my money on something that feels this good and my philosophy is, if you get it right with the skincare, the less you have to worry about covering your skin up with heavy-duty make up afterwards. Oskia is available online and in stores at SpaceNK in the UK. Please check out Oskia’s website for their worldwide stockists.